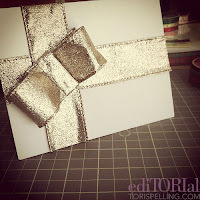 Craft For Life: Make a pop with the Pop-up card! 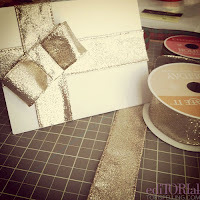 I was looking through my favourite website and found this great crafting creation! 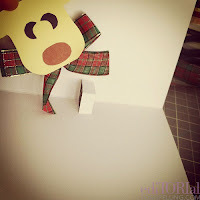 In the images its based on Christmas, but you can do it for any occasion. 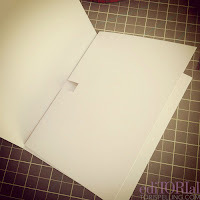 Take your cardstock and cut 2 rectangles sized to 3x10. 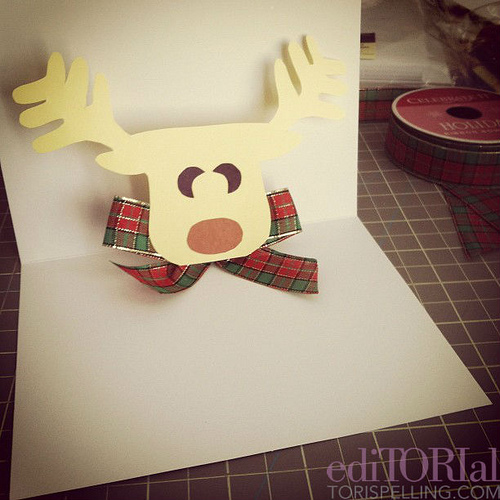 These will create your greeting card forms, so you will be folding them in half. If you have purchased pre-cut blank greeting cards, skip this step. Hold card horizontally in your hand. 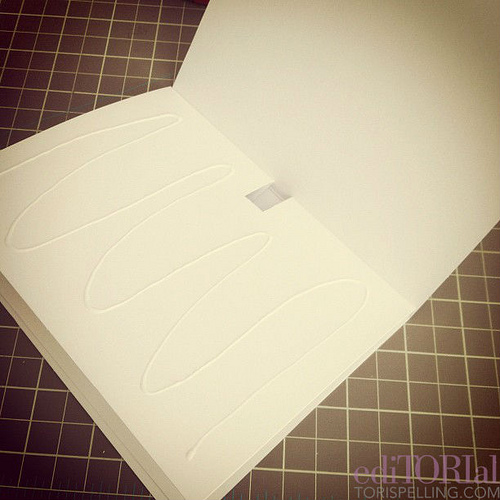 At 1 ¼ inches in from each edge, cut an inch slice into the card. 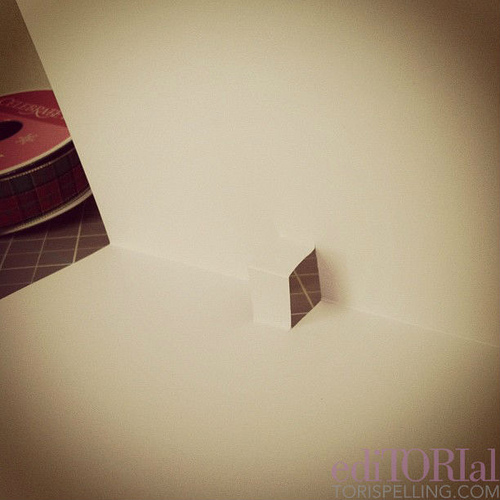 Push the remaining paper that sits between each slice inwards, so that you leave a gap between the two slices. It should look like the above. This will act as your pop-up function. 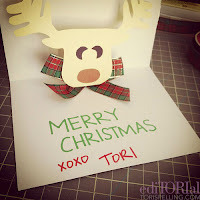 Create a stencil of the object you would like to pop up in the card. A reindeer, Christmas tree, menorah, whatever you like. 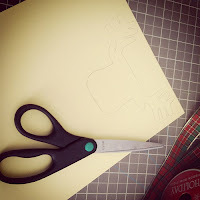 Cut out the stencil and embellish with whatever you like. 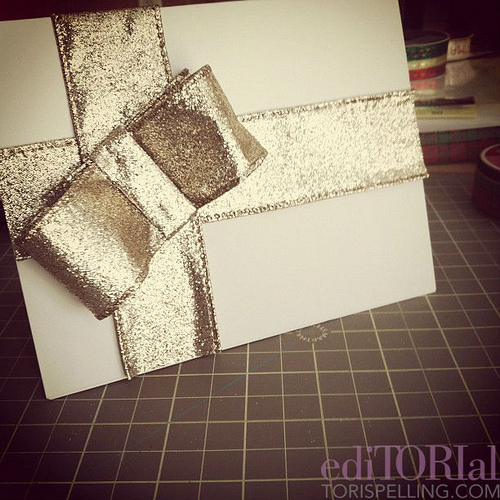 Glue your pop-up feature to the pop-up tab on the inside of the card. (Be sure to see that the pop-up feature is the right size to still fit inside the card when folded over. In order to hide the cut out section on the outside of the card, you will glue another card over it. Once your outer is fastened, you can write your personal message on the inside and embellish the outside however you like.